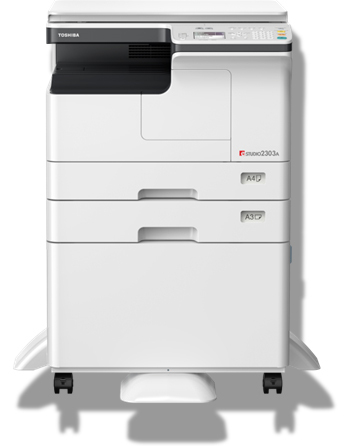 The e-STUDIO 2303A is compact, lightweight, entry-level MFP. In addition to black-and-white copying, this series can be used as a black-and-white printer and colour scanner, simply by connecting to a PC via USB cable. Studio 2303A offers cost effective A3 mono in a small footprint.